For us Vedas, and Ithihasapuranams are the most reverred scriptures – ‘the most original’ amongst all our texts to which all spiritual reference is to be drawn. Sri Ramayana and Mahabaratham are not mere texts but ‘the real story of Lord Maha Vishnu’ during the two most important avatars. 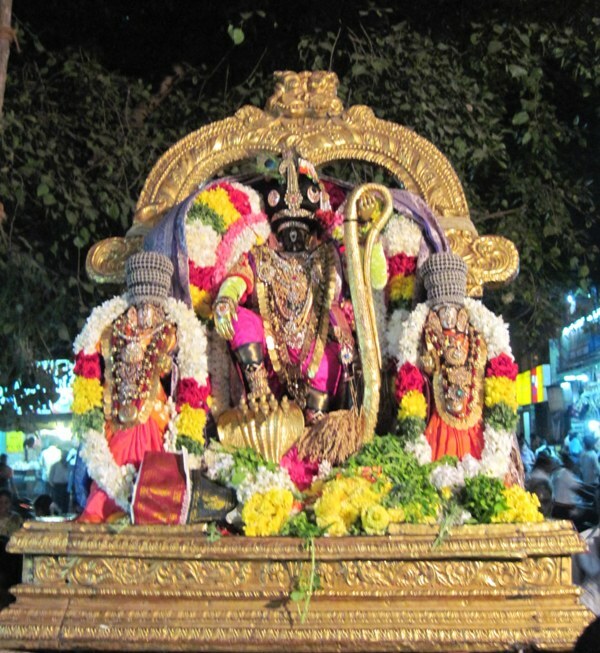 Of the two, Mahabaratham is replete with rich moral stories and life instances. It extols the living of Lord Krishna at every stage of his life – right from his birth in prison cell, to moving across river Yamuna during the heavy downpour; to his growth of every stage at Gokulam, his plays at Vrindavan to the Great battle at Gurukshetra and more………. 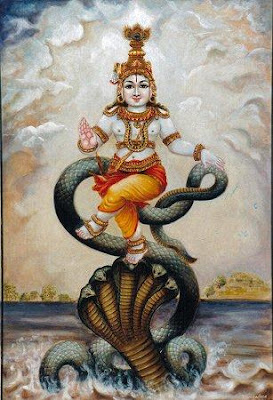 This is the story of most dreaded Kaliya and the exploit of Lord Krishna who jumped into the pond, danced on the hood of deadly snake, thereby turning the lake turbid - and when Kaliya surrendered, He benevolently favoured him too…. Kaliya also known as Kalingan was a poisonous Naga living in the Yamuna River, in Vrindavan. 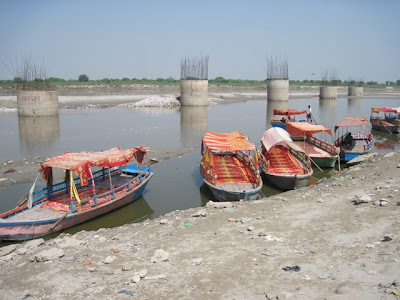 Over the years, the water had turned totally poisonous, thereby causing trouble to fish, cattle, birds and all living things. Legend had it that Kaliya had chosen that place as Garuda was prevented from entering there. Lord Krishna was playing with cowherd colleagues, when the ball fell into the water source. Krishna playfully jumped into it. Kāliya with his anger, rose up emitting poison and wrapped himself around Krishna's body. The folk around and all others were mortally afraid and started praying. Lord Krishna subdued him, sprang into Kāliya's head and danced on its head. 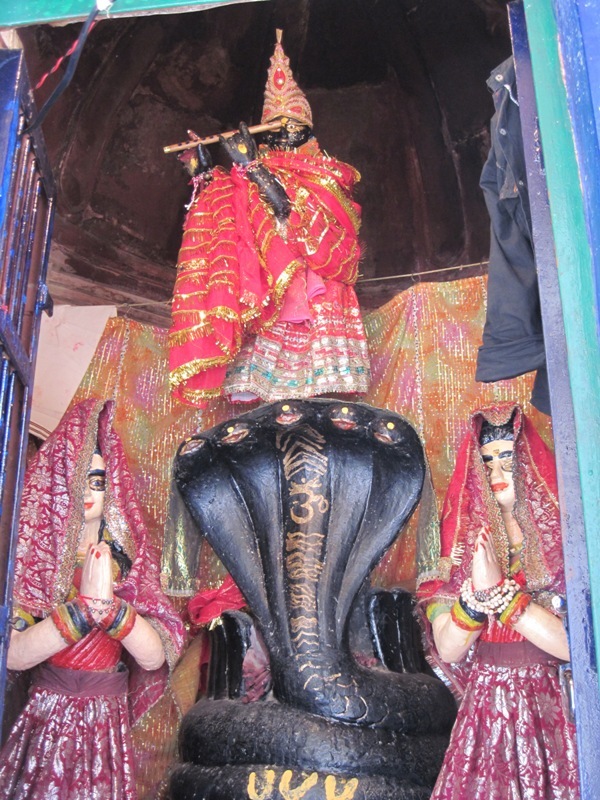 The serpent king’s wives came and prayed to Lord Krishna with folded hands. Kāliya, too, recognizing the greatness of Krishna, surrendered, promising he would not harass anybody. Lord Krishna pardoned him and showed him the divine path, once he vowed to eschew violence and fell at His Lotus Feets. The chastising of the Naga King is described in great detail. Lord Krishna whose birth was to subdue envious demons, climbed atop a Kadamba tree and finally changed the very nature of Kalinga. By the accounts we hear in Tamil, somehow always had an impression that ‘Kaliyan poigai’ was a pond where the serpent Kaliya lived. 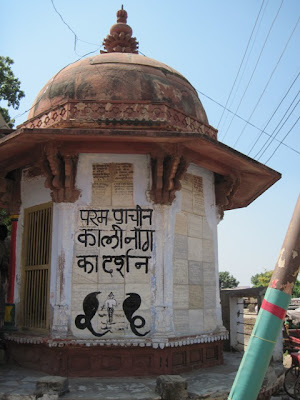 In North, the belief is little different – at Vrindavan [Brindavan] – a few kilo meters away from Mathura, the birth place of Lord Krishna, people firmly believe that it was at a particular spot at Yamuna river, that Kaliya lived and Kalinga Narthanam ~ the dance atop the hood of Kalinga took place at Yamuna river. One can easily reach this place preferably hiring a cycle rickshaw from Ranganji Mandir [about which I will make another post shortly] winding through narrow gullies, which probably retain the same charm as of the days of Lord Krishna and Balarama, when they played around. As of date, the Yamuna at this place is not clean, made worser by bridge construction activities going on. 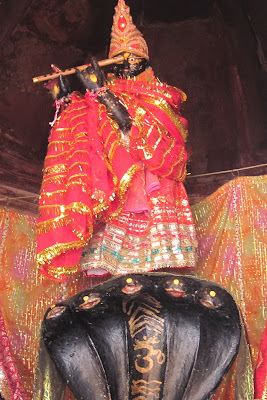 At this very place, is a small temple where it is written as the place of ‘Naga Kaliya’ and the idol of Lord Krishna on Kalinga Narthana posture is being worshipped. 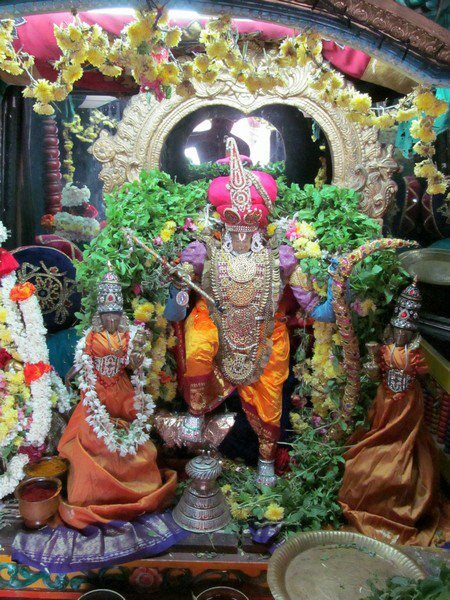 Here are some photos taken at Vrindavan at the very spot of Kalinga Narthanam.